Wrought iron end forging machine has greatly enriched decorative industry since it came out. 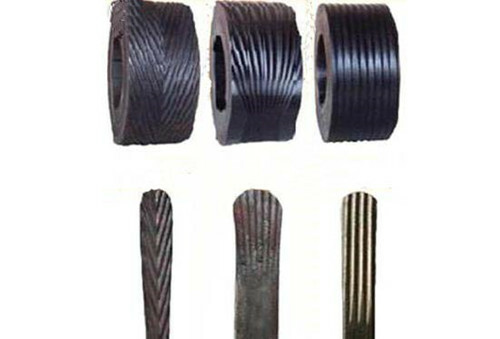 For we could process flat steel, round steel and square steel into different arrow ends, flat ends and striated ends (also called fishtail) by using end hot wrought machine. We need heat the steels by iron efficient heater before we crush and mold these shapes. 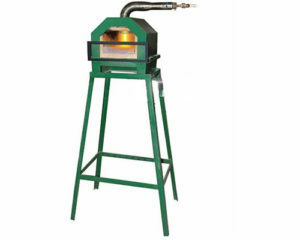 There have two different types of end hot wrought iron machine in Ellsen. 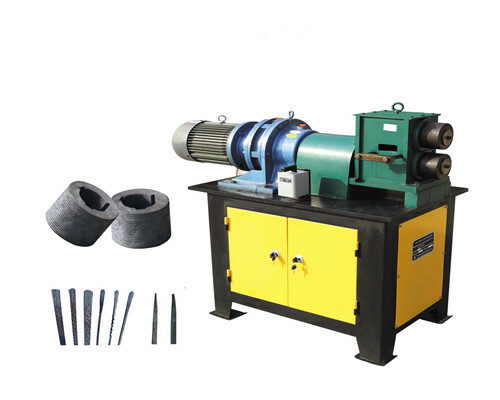 They are EL-F3 fishtail forging machine and EL-F4 hot end crushing machine (also called wrought iron fishtail forging machine). EL-F3 it just has the function of forging fishtail. EL-F4 it can not only process iron into fishtail forms, but also do arrow ends and flat ends. Our Ellsen EL-F3 fishtail coining machine is able to forging a fishtail shape at the end of flat steel, round steel and square steel. As we know, the steels have no any decorative functions. However, if we process them into different forms by fishtail coining machine, it will become artistic and beautiful ornamental materials in wrought iron industry. Therefore, fishtail coning machine for sale is more and more popular for people who are engaged in ornament iron business. 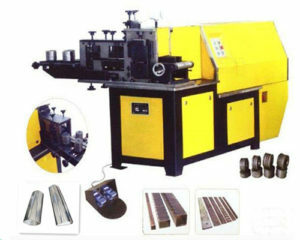 The EL-F4 fishtail forging machine is a new type. It not just forges fishtail, but also makes the end of the steel into sharp end as well as flat end. 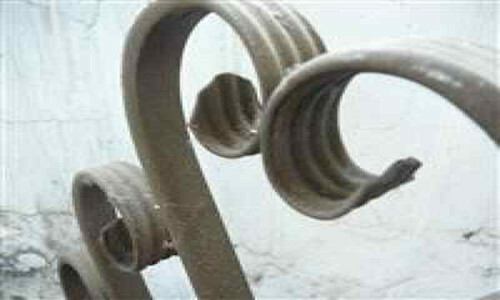 It brings diversification to ornamental iron industry. 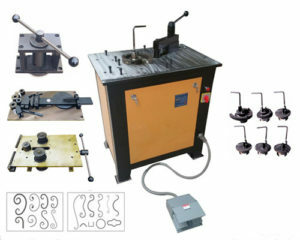 Only one fishtail forging machine can achieve different purposes, which is cost-effective for wrought iron fabricators. It is unnecessary to beat the end of iron bars into flat shape. We could get the fishtail directly after heat the materials. This helps save time and improves work efficiency. 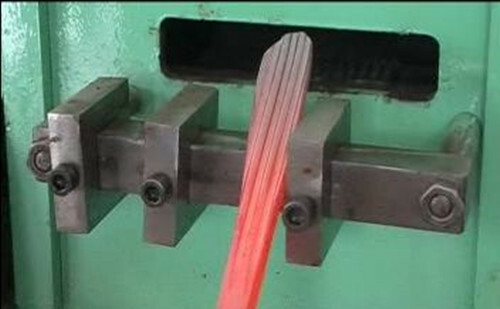 After processed, the end of iron bar becomes wider and thinner and the thickness is less than 2mm. 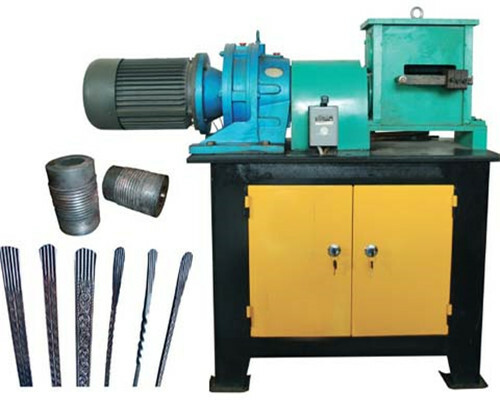 So our wrought iron end crushing machine can process precisely. The features of finished products processed by our hot-roll fishtail mill are uniform, beautiful and standard because of our high quality dies. Our wrought iron machines have a size-localization device. You can set the rolling length through this device which is very convenient. Our Ellsen blacksmith end forging machine can roll 300 pieces flat irons (8x40mm) per hour. 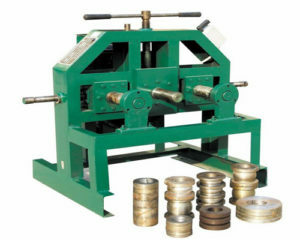 The dies of our fishtail press machine have the property of abrasion resistance. So it extends the use life of our fishtail shaping machines. We offer an excellent after-sales service for all wrought iron fishtail end forging machines clients have brought from us. 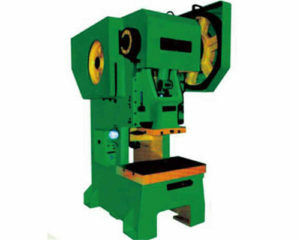 Our Ellsen auto tail stamping forging machine can position precisely. The main motor of our fishtail coining casting founding machine is powerful. With the development of modernization and improvement of decorative arts, all kinds of ornamental styles emerge in large numbers in recent years. Wrought iron products occupy a very decisive position in ornamental industry, for they have the features of simple style, economical. 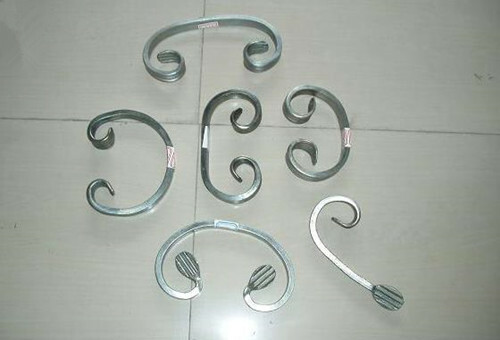 Therefore, the fishtail forging wrought iron machines become more and more important. No matter you have been in this field for many years or you are ready to invest ornamental iron business, there is no doubt that our Ellsen wrought iron machines will bring you more creativity and profits. 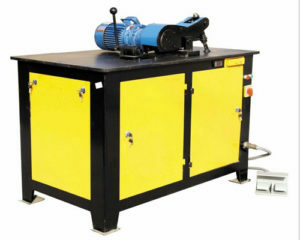 For decades of effort, our Ellsen has become a leader in manufacturing wrought iron machines like fishtail casting machine, scrolling bending machine, metal twisting machine etc. And our end forging machines have exported to the United States, UK, Canada, Australia, South Africa, Southeast Asia and so on. What is more, Ellsen has a group of professional engineers who is devoting themselves to innovate and improve our end forging machine continuously. 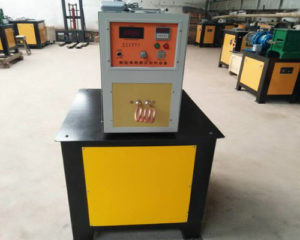 This guarantees the high quality of fishtail casting machine for sale. For the beginners who are not familiar with end forging machine, they could buy it from a wrought iron manufacturer with excellent service, no matter pre-sales service, after-sales service, maintenance service etc. For you may have some problems when operating fishtail end forging machine. Then you could ask for help from the manufacturer who can offer you practical guide. 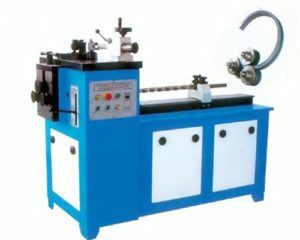 On the other hand, we should pay attention to the quality of fishtail forging machines for sale. A good quality wrought iron forging machine will spare you many troubles. 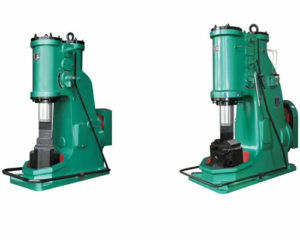 Our Ellsen could offer customers excellent forging machines for metal craft and its price is also very competitive. Please call us today to get latest price and discount. We must heat one end of the steel by inductor heater before forging it. And please always keep in mind that you should not touch the hot parts by hands in case it burns your fingers. Besides, please stop the fishtail press machine if there has any abnormal sounds. 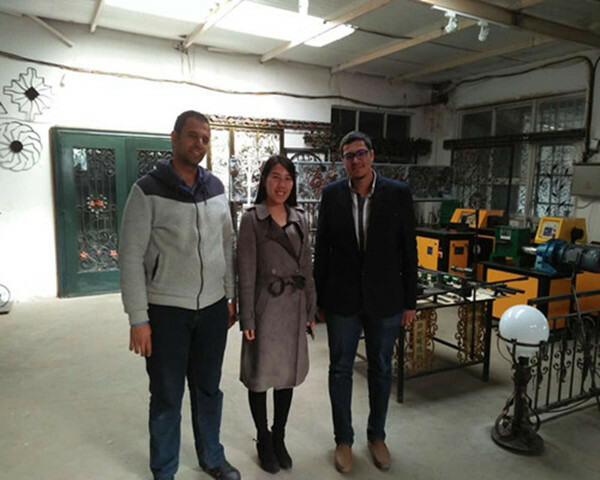 As wrought iron machinery manufacturer, it is our duty to send the products to clients’ destination at home and abroad. We would transport them to clients by less charge. If clients have their own shipping agents, we could also send the products to agents’ warehouses and offer related documents to assist Customs export. As for the package, we will pack fishtail making machines by using hard cartons as well as wood cases in case of damage caused during delivery. One of our advantages is that our Ellsen factory is able to manufacture wrought iron forging machines according to clients design and logo. Besides, our experienced engineers can work out the layout of a customized end forging machine till our clients are satisfied with it. 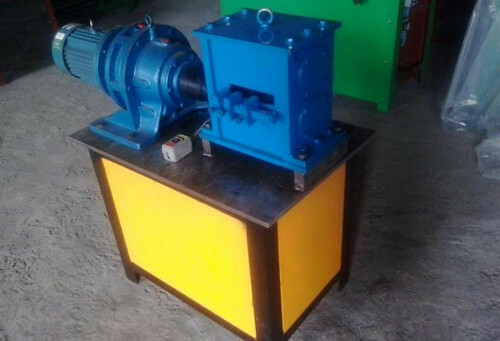 When receiving inquiry about our tail coining machine, our professional staff will quote a very reasonable price according to customers’ requirements. If there has any questions about our price, quality, service, technique etc, we would answer you one by one patiently. If clients decide to buy our metal craft machines, they could prepay the deposit and the balance could be paid when all products are ready to send to them. We guarantee one year warranty for our fishtail end forging machine for sale. Free maintenance service is under warranty. Whenever clients have technique problems, our engineers would offer support for free. Some spare accessories would be sent for free.